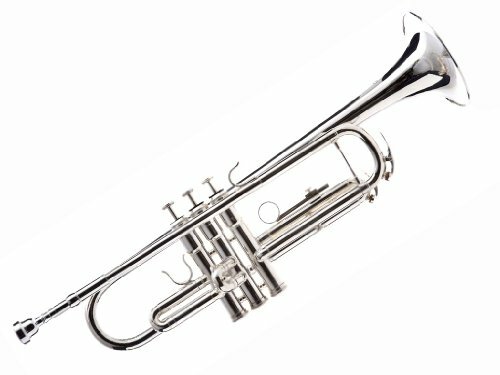 This beautiful silver plated B Flat Trumpet is ideal for the beginning student. The trumpet is used in many forms of music, including Classical, Jazz, Rock, Blues, Pop, Ska, Polka, and Funk, to name a few. This Trumpet is in the key of Bb and has a beautiful silver body. It has a bell diameter of 123mm and a bore size of 11.66. This Trumpet set has everything you need to get started with your new Trumpet. Includes a durable case and mouthpiece. Finish: silver plated Beautiful Case Stable construction and play comfortable. Best savings- Hawk WD-T313 Bb Trumpet with Case and Mouthpiece, Silver Plated coupon code.